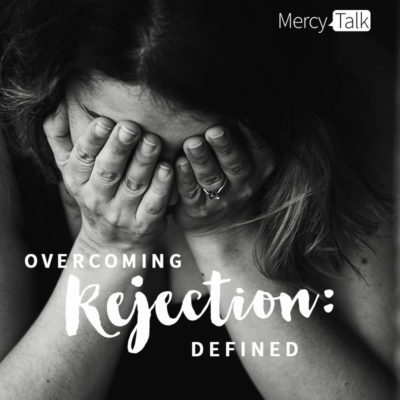 Join MercyTalk hosts, Jen and Melanie, as they start a new series on Overcoming Rejection. Most, if not all, of us have experienced rejection at one point or another in our lives. 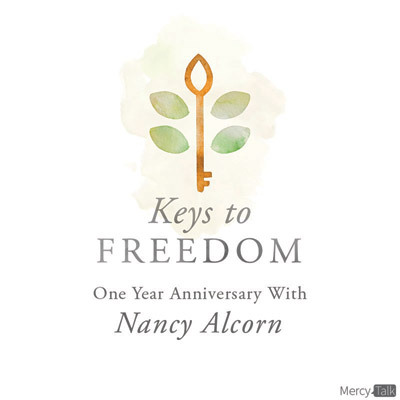 Join MercyTalk hosts, Jen and Melanie, as they celebrate the one year anniversary of the release of Keys to Freedom with a SPECIAL guest - Founder and President, Nancy Alcorn! 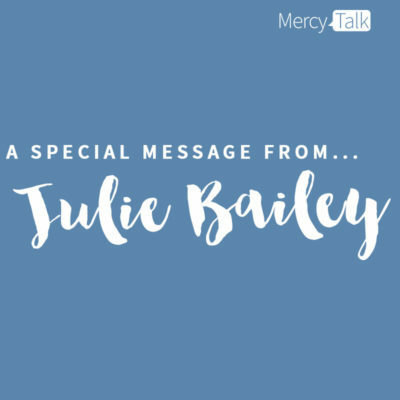 Today on MercyTalk we have a special guest, Julie Bailey, sharing a powerful message on Overcoming! Julie and her husband, Greg, recently came to share with our staff and residents in our Nashville home. The Bailey’s are ordained ministers and are the International directors of Christian International in Australia and New Zealand under Dr. Bill Hamon. Greg and Julie are the senior ministers of Eaglenet Ministries International. 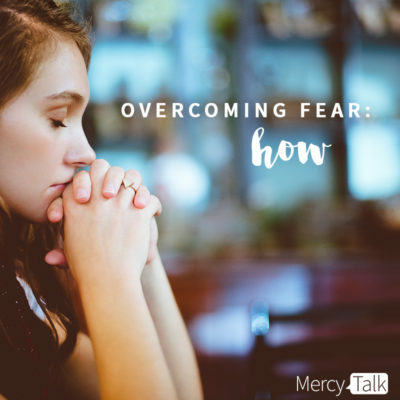 Join MercyTalk hosts, Jen and Melanie, as they unpack HOW to overcome fear! There are many ways to begin to address the fear that you may be experiencing in your life. Join MercyTalk hosts, Melanie and Jen, as they continue their discussion on overcoming fear. Today they take the discussion one step further as they talk through WHY it is so important to overcome fear. Join MercyTalk hosts, Jen and Melanie, as they begin a new series this month on MercyTalk. They will discuss Overcoming Fear! 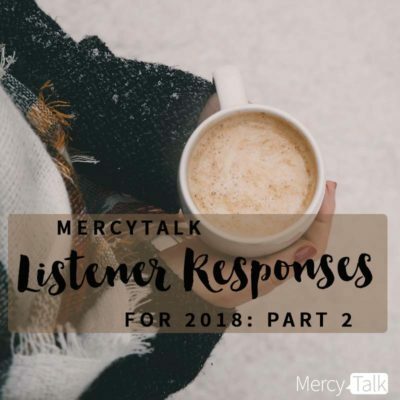 Join MercyTalk hosts, Jen and Melanie, on the second part of a two part discussion as they share MercyTalk listener responses to the last two of the three questions posed for reflection for 2018! Today they will focus on the questions: “What is the single biggest time-waster in your life, and what will you do about it this year?” AND “What’s the single most important thing you could do to improve the quality of your family/community life this year?” We hope you will join us and then reflect on these questions for yourself! 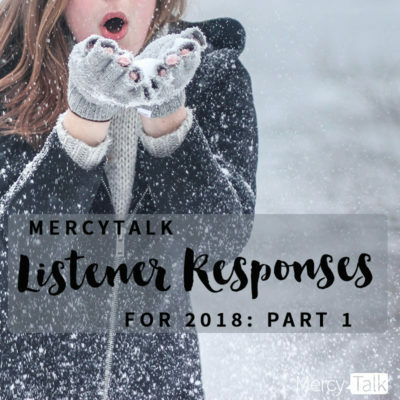 Join MercyTalk hosts, Jen and Melanie, on the first part of a two part discussion as they share MercyTalk listener responses to one of the three questions posed for reflection for 2018! Today they will focus on the question: “What’s one thing you could do this year to increase your enjoyment of God?” We hope you will join us and then reflect on this question for yourself! Today on MercyTalk we have a very special treat. 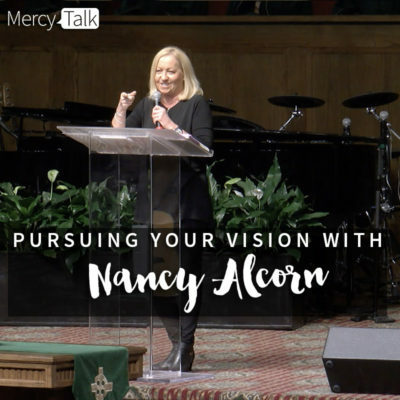 Who better to hear from when discussing the topic of Vision that Mercy Multiplied’s President and Founder, Nancy Alcorn! 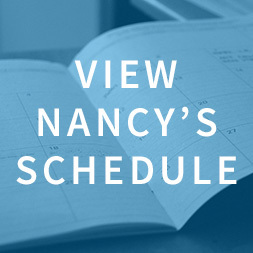 Join Nancy during a recent message that she shared on vision. With the start of a New Year comes the opportunity to look ahead, set some goals and enter the year connected to the heart of the Lord. 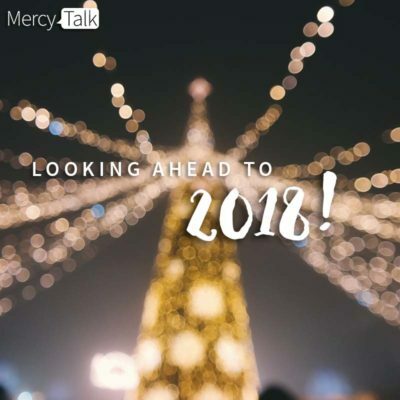 Join MercyTalk hosts, Jen and Melanie, as they discuss the importance of intentionally taking some time to look ahead to the year to come!